JACKSONVILLE, Fla. -- This cat burglar didn't land on his feet. 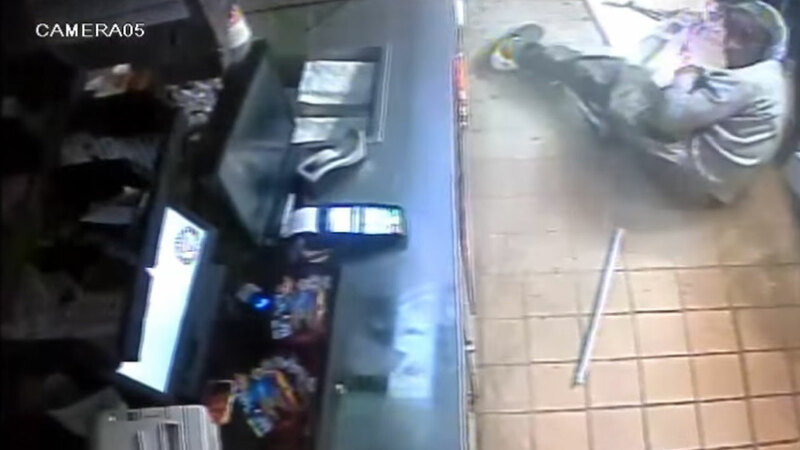 Police in Jacksonville, Florida are looking for a man who was caught on surveillance tape breaking into a Popeye's restaurant through the ceiling. The man can be seen falling through the ceiling of the restaurant with his face uncovered, before covering his face again. He apparently spent several hours prying and beating on the restaurant's safe before he finally got it open and took an undisclosed amount of cash. No word if the burglar got out the same way he got in. Anyone with information on the man's identity is asked to contact the Jacksonville Sheriff's Office at 904-630-0500 or by email at JSOCrimeTips@jaxsheriff.org.